Safety Town, a weeklong event held at Walworth Grade School that featured two sessions each day, saw numerous volunteers from throughout the area step in in an effort to keep kids safe. Held the week of June 25, local Safety Town Director Cathy Boldger was assisted by several teenage instructors including Carter Beckford, Karlie Kroening, Kelsie Kroening, Lyndsey McIntyre, Mallory Melson, Chloe Weborg, Jayden Paul and AJ Hartmann. Nearly 30 local children attended this year’s Safety Town event in Walworth. 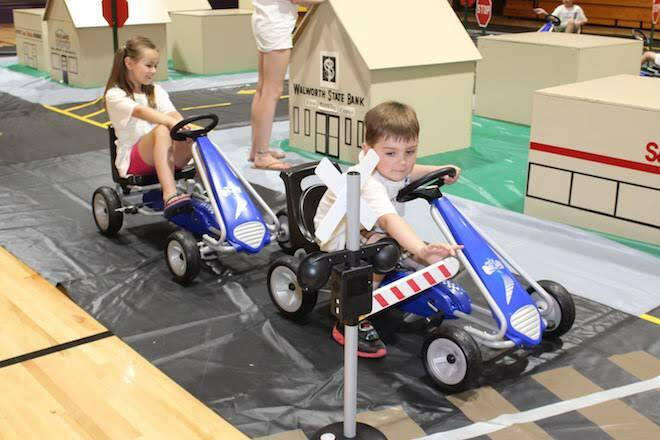 For more about Safety Town, including details on the guests that took part and the children that graduated from the class at the end of the week, see the July 6 Times/Reporter.